Donny Schatz won the Craftsman Club Dash and earned the pole of the 40-lap Feature alongside Ian Madsen. But it was Madsen who powered around Schatz to lead the opening circuit of the Feature. Sheldon Haudenschild used every bit of the racing surface to quickly take second from Schatz and begin chasing down Madsen for the lead. Just as Haudenschild was ready to make a move on Ian Madsen for the lead on the sixth circuit, the caution flew Ian’s older brother, Kerry, who was facing traffic on the backstretch. Ian Madsen was able to turn under a pair of Sheldon sliders, before Haudenschild took command to lead Lap 8. 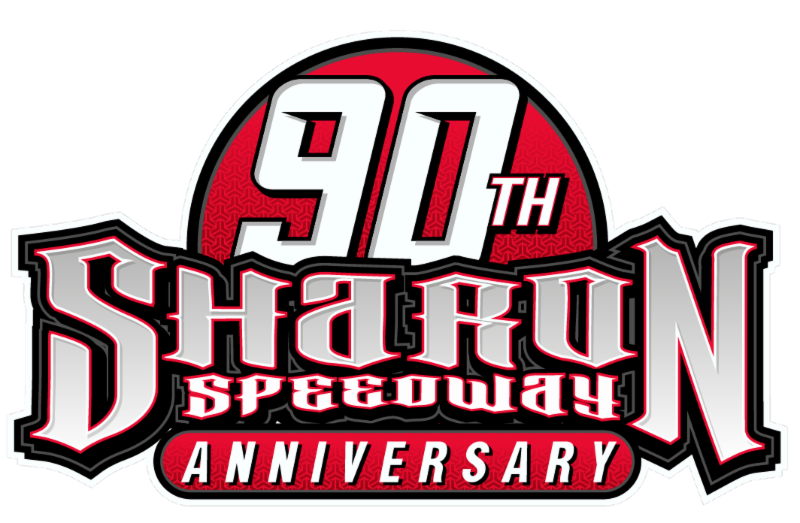 As Haudenschild navigated heavy traffic, both Madsen and Pittman were able to erase Sheldon’s lead. Daryn Pittman made an eye-catching three-wide pass for the lead down the backstretch on Lap 13, only for it to be negated by a yellow for Cory Eliason. As the rubber became more prominent on the racing surface, experience became a factor. Pittman and Schatz quickly closed in on Haudenschild for the lead. Haudenschild had a minor hiccup in turn one and missed the rubber by no more than a car length, but that was all Pittman needed as the 2013 Series Champion stuffed his Kasey Kahne Racing No.9 car underneath Haudenschild to take command down the backstretch. A couple laps later Haudenschild hiccupped in turn one again and Schatz was able to sneak by for second. Ian Madsen’s top-five run came to an end with five laps remaining, due to a flat tire. 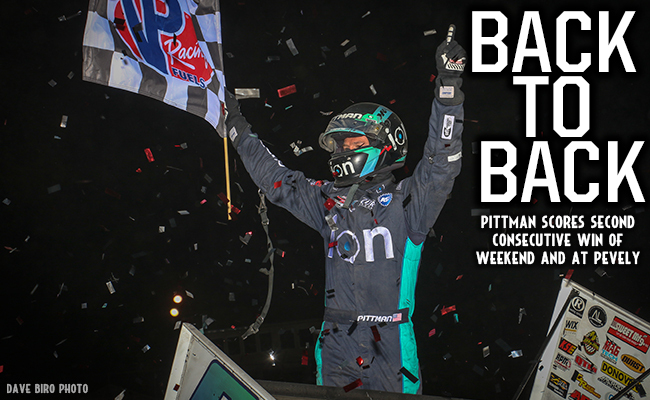 A clear track ahead of Pittman allowed the veteran driver to hit his marks en route to his 74th career Outlaw victory.